Playing rummy online is quite an entertaining pastime. Online rummy has been successful in extending the popularity of the traditional card game to the virtual platform. At the core, the rules of the game remain the same and the basic skills required to win are the same too. However, there is achange in the techniques as online rummy is a time restricted game. Additional features too make playing online rummy pleasurable. But for a beginner, rummy skills like concentration, memory, analyzing logically and taking informed decisions are crucial for winning rummy. 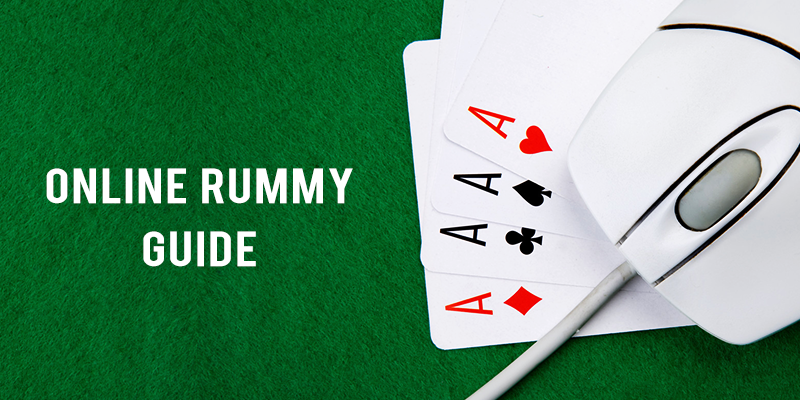 Here are 4 ways to master your skills and play rummy for fun. These games are best to start with for developing your rummy skills. Most of the online rummy sites provide practice games to help you work on your skills. These games are free and you use practice chips for playing. There are no restrictions on the number of games that you could play. You may continue playing these games until you are pretty confident about your rummy skills. Another very helpful feature of practice games is you can play these games for different variants of rummy. It is indeed a boon as you’re able to master your skills across variants. With your basics firmly cemented, it’s time you start implementing your knowledge and play online rummy for cash. You get to play with other aspiring rummy players too. An attractive feature of free rummy games is you may win small amounts of cash as rewards. This is indeed motivating for players who have just started playing rummy online. There are several free rummy cash games that keep running on a daily basis. This gives you ample opportunities to develop your skills. You’ll have to pay a small entry fee to participate in cash rummy games. But, cash games are really rewarding as the prizes are always in the form of cash. There are scores of cash games that you could play rummy for cash prize, but always start playing low stake cash games. Since the players of cash games are skillful at their craft, you need to choose those games only where you are pretty comfortable with your skills. Cash games are the best ways to begin playing with serious and skilled rummy players. Their skills and strategies will lend a great learning experience for you. Rummy portals offer different variants of rummy to their users in order to give wholesome entertainment. By playing different variants of rummy you will able to get exposure to diverse challenges of rummy. This, in turn,will help you hone your skills better. Indian rummy is the most popular variant of rummy in India. Variants of Indian rummy such as Points, Pool and Deals rummy are provided in addition to 21 cards rummy and 10 cards rummy too. As a game of skill, the only mantra to gain expertise at rummy is to play as often as possible. Bring variations to the kinds of online rummy games you play and master your skills.